History, Adventure, Discovery and Conspiracy Combine in an exploration into the man we celebrate the second Monday of October every year. However…Christopher Columbus might not have been who we think he was. Was Christopher Columbus born in Genoa, Italy as history states? Most definitely not, say an unlikely collection of experts from European royalty, DNA science, university scholars, and even Columbus’s own living family. 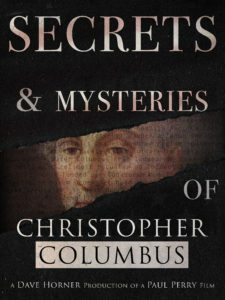 This ground breaking documentary follows a trail of proof to show he may well have been much more than we know as it dives into the secrets and conspiracy theories of the infamous Christopher Columbus.